The US-based car-hailing app will offer helicopter taxis during the Cannes Film Festival, French TV reported. The first-of-the-kind service in France will allow guests to catch a speedy ride from Nice-Côte d’Azur airport to Cannes for about 160 euros. The San-Francisco based app Uber has signed a deal with the French helicopter firm Helipass to offer sky taxies throughout the Cannes Film Festival from May 13 to 24, according to French news channel BFMTV. The new flight service will be included in the Uber app as a separate icon on the first day of the festival. It will feature "a seat in a helicopter that will take off 15 minutes later," said Frédéric Aguettant, president of Hélipass. The ride from the Nice-Côte d’Azur airport to the festival venue will take 7 minutes and cost around 160 euros per person, according to French TV. Seven helicopters among which will be the Eurocopter EC130 Ecureuil and the Robinson 44, offering from 3 to 6 seats, will be in permanent rotation to help avoid the busy rush hour traffic. 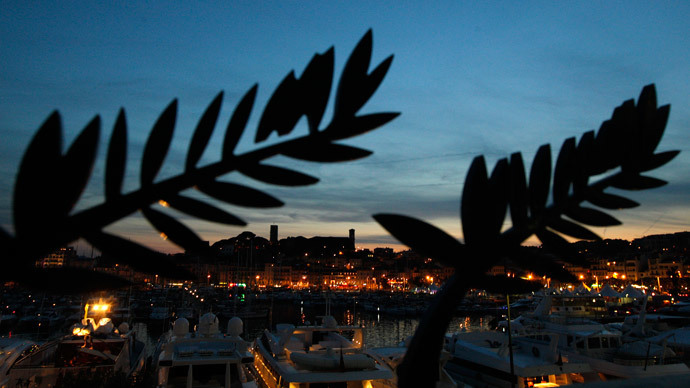 The Cannes festival is expected to be attended by 125,000 guests. In 2014 Uber offered a private jet service between Paris’ Le Bourget Airport and Nice for guests arriving for the Cannes Film Festival through May 18. The US company charged 6,490 euros ($8,930) per plane which flew up to four passengers. Uber provided similar services in Lisbon last October. The Portuguese Uber chopper offered a ride for 137 euros. The US based firm also serviced guests at Coachella teaming up with Epic helicopters in April. The reservation of helicopter flights on Uberchopper has already been tested in the US (San Francisco, Los Angeles, New York) as well as South Africa, Brazil and Australia, where helicopter flights are more common.